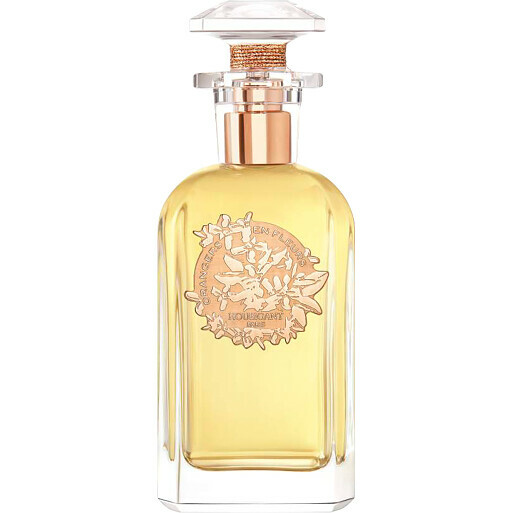 Immerse yourself in the complex and feminine essence of the Houbigant Orangers En Fleurs Extrait de Parfum. Made up of plush white blossoms, fresh greenery and the sensual woodiness of the orange tree, the vivid essence of Orangers En Fleurs most truly encapsulates the seduction of the orange blossom. In a harmony of radiant notes, the voluptuousness of the bloom comes alive on the skin. Opening with a full-bodied rose, orange blossom and jasmine top accord, the concentrated Orangers En Fleurs Extrait de Parfum unfolds in a decadent cascade of tuberose, ylang-ylang and nutmeg. In the base notes, white cedarwood and musk caress the skin with their creamy, sensual warmth. Orangers en Fleurs is showcased in a modernised version of a classical crystal bottle from the beginning of the 20th century, that was originally designed and manufactured by Baccarat for Houbigant.